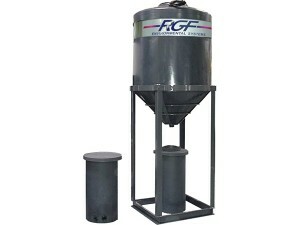 The concept of a basic gravity oil/water separator is simply a tank or vessel that stalls the flow rate to permit gravity to separate oil from water. Oil, having a lower specific gravity than water, will naturally float on water if given time to separate. 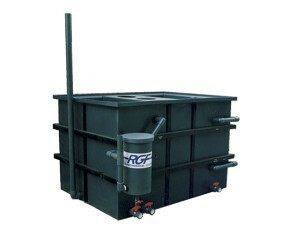 In order to reduce the physical size of the oil/water separator, as well as enhance performance, RGF incorporates coalescers. As oil and water flow through the coalescing media, oil droplets impinge on the media, binding the oil droplets together, making them larger and more buoyant. 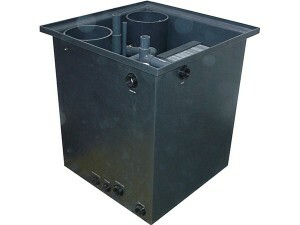 The addition of auto oil skimmers and the RGF Oil Accumulator makes free oil removal easy.